Hello Dosto aaj is post me hum CRPF Full Form In Hindi ke bare me janege or CRPF kya hai agar aapko pata nahi hai to is post me aapko CRPF ke bare me puri details se information milegi, To dosto chaliye suru karte hai. CRPF Bharat ki sabse largest Centeral Armed Police Force hai jise 27 july 1939 ko Ground Representative Police ke naam se jana jata tha fir baad me aajadi ke baad ise 28 December 1949 ko iska naam badalkar Central Reserve Police Force rakha gya. CRPF Ministry of Home Affairs yani grah mantralay ke under aati hai or iska kaam india ke sabhi state or kendra sasit pradesh me kanoon vyavasta ko banaye rakhne me police ki sahayata karna hai or iske alawa crpf ka kaam aapda or dange fasad ko niyantrit karne or indian army dwara kiye jane wale operation me unki help karna hota hai. BSF ki sthapana se pehle 1965 tak bharat or pakistan border ki surakshha CRPF dwara ki jati thi CRPF played a major role in election of 1999, Is samay 239 Battalion ke sath crph india ki sabse badi paramilitary force hai jisme total 313638 Personnels hai. CRPF ka headquarter New Delhi me hai or crpf ka moto “Service And Royality” means Seva or Wafadari. Crpf has assisted indian army in all wars. crpf ki apni ek special force bhi hai jise hum commandos bhi kehte hai is force ka naam “COBRA Special Force” hai. Is special force ka 2008 me naksaliyo se ladne ke liye crpf me samil kiya gya tha. crpf india me akeli esi central armed force hai jiske paas 3 woman battalion force hai crpf also have specialized Rapid Action Force. 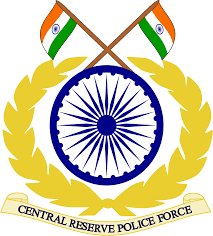 To dosto kesi lagi aapko yeh post CRPF Full Form In Hindi – CRPF Kya Hai hame comments kar ke jaroor btaye or is post ko apne dosto ke sath share jaroor kare.